Join us on Pinterest! Browse our 25+ boards for all kinds of tomato inspiration and practical information: cool tomato gardens, tomatoes just off the vine, different tomato varieties, tomato art – even gardening quotes. Check our our page. Happy pinning! Get the full story about growing a champion tomato here. Meanwhile, keep growing! We’re looking forward to seeing photos of your tomatoes in the coming weeks. Get all the details about how to enter our July edition of Tomato Masters. 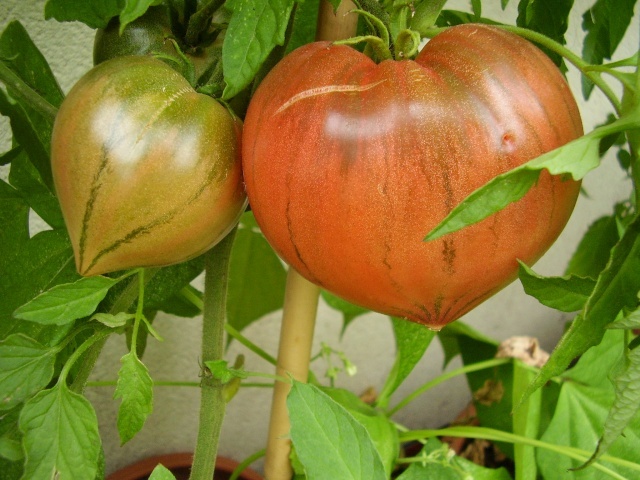 Check out our Tomato of the Month page to read all about fun and interesting tomatoes. Check out these popular Tomatoes of the Month on our website.